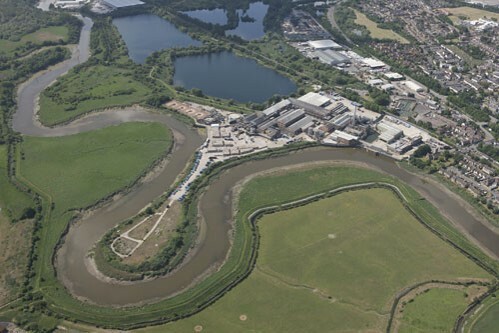 Smurfit Kappa’s Townsend Hook site based in Kent, produces approximately 250,000 tonnes of containerboard material per year and is a leading provider of paper based packaging solutions worldwide. They are looking to demolish three of the existing buildings on their Townsend Hook site in Kent and refurbish the main office building. Refurbishment of cladding, windows and doors; new lobby area; integral re-configuration works. This project was carefully managed to allow the safe and efficient operation of the existing building whilst construction work took place. Fellows worked closely with Smurfit Kappa to ensure that they received a Feasibility Cost Plan in order to determine an estimate of the construction costs associated with delivering the proposed project. At feasibility stage, several design options were considered and estimated to provide Smurfit Kappa with different avenues to consider.